Over the years, I’ve come to accept the fact that I always will have stick-straight hair with minimal volume. Those of you who have a similar hair type know that this is both a blessing and, at times, a curse. So, even though I’m (mostly) at peace with my hair, I still at times can’t resist trying products that claim to give lift and volume to otherwise lifeless hair – especially when it’s as easy as lathering a shampoo-like product all over my head and letting it sit for a few minutes before rinsing it out toward the end of a shower. 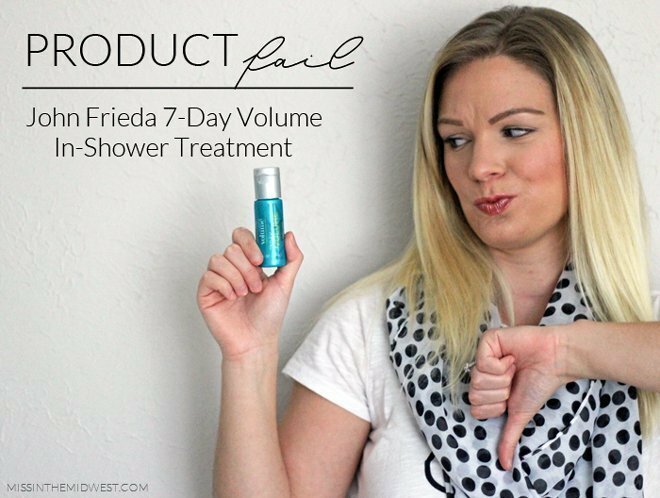 Enter the John Frieda 7-Day Volume In-Shower Treatment. I had high hopes for this product since I’m generally a fan of this drugstore brand, but wow – this was such a disappointment that delivered zero results. The product claims to “texturally transform fine hair, leaving it full even after multiple washes.” The directions state to squeeze out any excess water from your hair and to apply a liberal amount to your entire head, including the root area and under sections of your hair – you may have to use more/less depending on the thickness and length of your hair. You then leave the treatment in for three to five minutes before rinsing it out. One treatment is good for seven days or two to three washes. Well, after putting that theory to the test, following the directions to a T, and discovering the results, I didn’t even bother photographing my head for the full seven days. I think this photo will speak for itself. The before shot is what my hair looks like on a daily basis – I didn’t use any product besides some heat protectant spray, and I blow dried my hair upside down with a round brush. So, you can imagine much to my dismay that I was hoping the after shot would show some pretty dramatic results … can you even spot a difference? I sure can’t. Even after this first application of the treatment, my hair remained straight with zero volume or body. 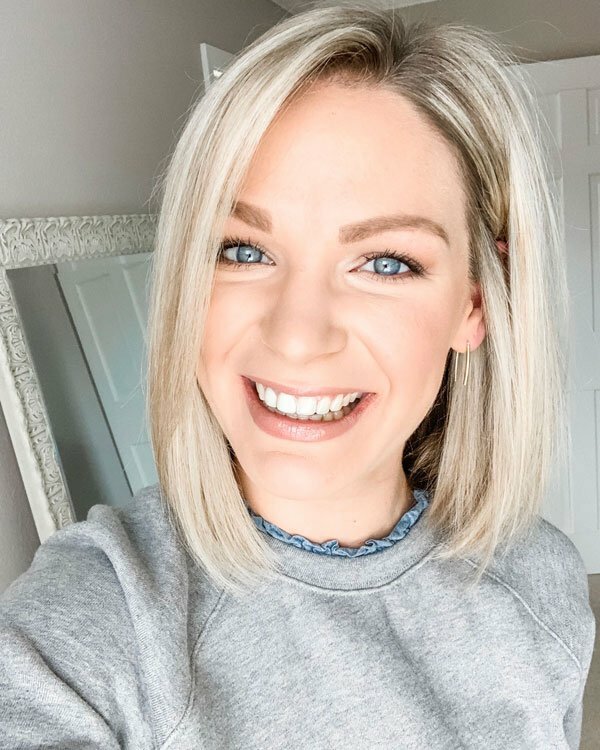 The only (minimal) benefits that I experienced from this product was extra soft and smooth strands, and my hair did feel slightly thicker after that first application and blow dry. But, that could have been in my head since I desperately was trying to believe that this treatment could work. Plus, I wasn’t looking for thicker hair – I need some volume! My recommendation is to definitely skip over this product on your next shopping trip – it’s a complete waste of money, and you will just be left with another half-used bottle in your shower or under your sink. Disclaimer: I received a sample of this product in a recent Influenster VoxBox. As always, all opinions are my own. I hate getting my hopes up for something new just to be let down – what a bummer! But lady, that before picture – you've got some fabulous locks! Loving this product review. So informative. Thanks for sharing! That's so frustrating! But on the upside, I love your hair even without it. Do you ever tease yours? That’s so frustrating! But on the upside, I love your hair even without it. Do you ever tease yours? I was thinking about trying this product out but then I read multiple similar reviews and decided it wasn't worth the risk – what a bummer! I never understand how companies decide to release products that do absolutely nothing. Hair products are always such a gamble! I was thinking about trying this product out but then I read multiple similar reviews and decided it wasn’t worth the risk – what a bummer! I never understand how companies decide to release products that do absolutely nothing. Hair products are always such a gamble! Yes, absolutely don't waste your money on this one! Volume treatments are just so hit or miss! Oh, good to know – thanks for the product recommendation! 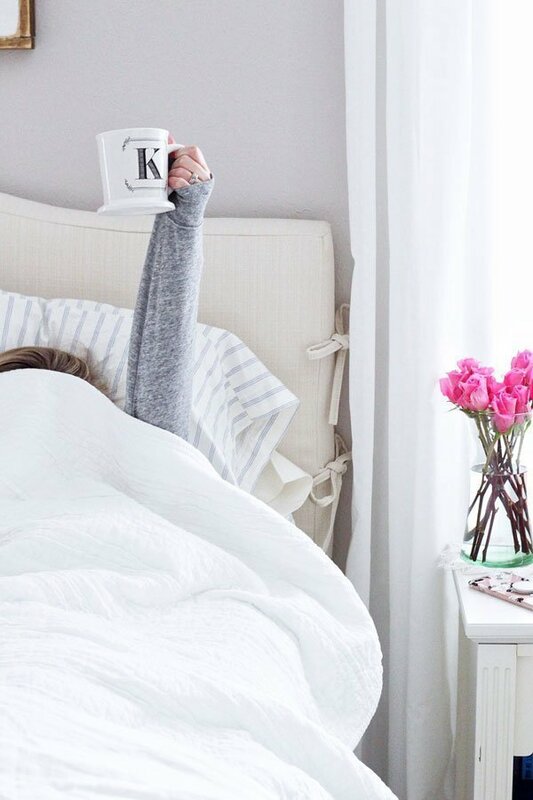 I already made note of that Living Proof spray – I'm definitely going to try it out! I think one of my past stylists did the same thing to my hair, but I still didn't have any luck – figures! Thanks, girl! I felt so silly posting two pictures of my head with no difference, but that was the only way I knew how to prove that the product didn't do anything! Absolutely – I always feel the need to share experiences like this! So glad you told us about this, I was thinking of trying it! Our endless search continues for the perfect products for our hair type! I hate getting my hopes up for something new just to be let down – what a bummer! But lady, that before picture – you’ve got some fabulous locks! What a bummer! I hear you on looking for that extra volume, and I can't say I've come across anything that has done the trick, but I'm glad to know not to give this one a try! What a bummer! I hear you on looking for that extra volume, and I can’t say I’ve come across anything that has done the trick, but I’m glad to know not to give this one a try! Yes, absolutely don’t waste your money on this one! Girl preach! One of my friends had something similar from him and she was all…womp womp. I feel ya on the lack of volume… my hair can be the same way. 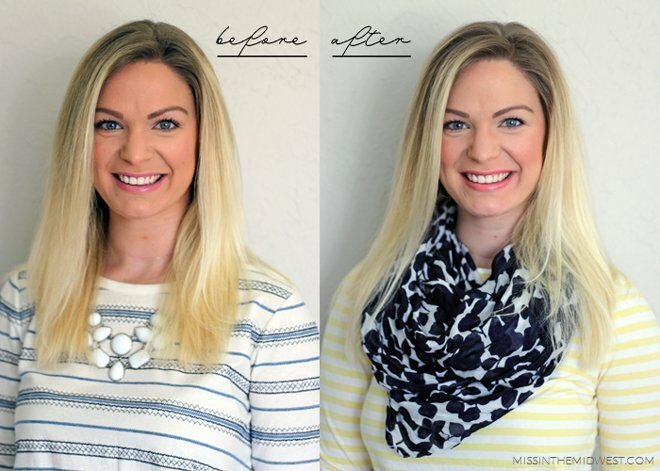 I actually use the Southern Belle mouse from DryBar (can get at Sephora) and love it! that blow out spray i mentioned yesterday gave me crazy volume–from living proof. i love your honesty!! I already made note of that Living Proof spray – I’m definitely going to try it out! I think one of my past stylists did the same thing to my hair, but I still didn’t have any luck – figures! That stinks that it didn't work–I hate getting my hopes up that something's gonna be awesome and it falls flat (pun intended 🙂 Thanks for letting us know! That stinks that it didn’t work–I hate getting my hopes up that something’s gonna be awesome and it falls flat (pun intended 🙂 Thanks for letting us know! Thanks, girl! I felt so silly posting two pictures of my head with no difference, but that was the only way I knew how to prove that the product didn’t do anything! Product fails are no fun, thanks for letting us know it was a flop! Good to know it doesn't do a thing! My hair is just like yours and I'm always looking for a "miracle" product but I just don't think anything exists! Even my hair stylist has a hard time giving my hair body! Good to know it doesn’t do a thing! My hair is just like yours and I’m always looking for a “miracle” product but I just don’t think anything exists! Even my hair stylist has a hard time giving my hair body!